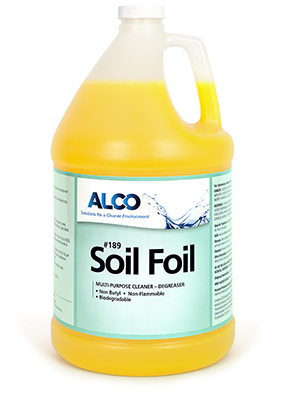 Alco Soil Foil - Alco-Chem, Inc.
Multi purpose cleaner and degreaser concentrate. High performance product for tough jobs where other all-purpose cleaners fail. Great for wall washing and general cleaning. Non-butyl formula.